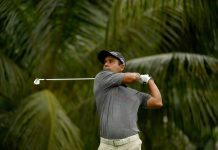 Lahore, November 1: John Catlin of the United States, Wolmer Murillo of Venezuela and Liu Yan-wei of China hope to win the inaugural Defence Raya Golf Championship and break into the top-five on the Asian Development Tour (ADT) Order of Merit. 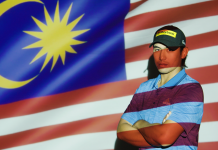 Catlin, Murillo and Liu are ranked seventh, 11th and 17th on the Order of Merit respectively but with a total prize purse of US$120,000 on offer this week, they can make a move with a solid result at the Defence Raya Golf and Country Club. The trio are among the talented field which includes 10 ADT champions and players from 12 different nationalities in the 102-man field. It will be an important week for players fighting for an Asian Tour card as the leading five players in the final Order of Merit will be afforded with playing rights on the region’s premier Tour. The 26-year-old Catlin, who won his first ADT title last year, has enjoyed a consistent year so far, missing only one cut in 14 appearances on the ADT. He also posted two runner-up results and one tied third finish. “My goal in the beginning of the year is to get into the top-five (on the Order of Merit) and I’m working my tail off to get it. It is coming down the wire and I’m ready to finish strong. A win here will go a long way. This has been one of the most consistent years I’ve had. I’m right there and I’m just waiting for that week where it all clicks again,” said Catlin. Murillo, the only Venezuelan in the field, has enjoyed some good form after being less technical in his swing. 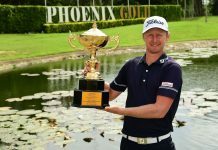 He won his first ADT title at the Combiphar Players Championship in Indonesia last month and capped two other top-10 results on the Asian Tour. “I stopped working on my technique and focus more on playing. That gives you a lot of confidence. Mental thoughts and what to do during the swing is all gone. I was very technical previously. To be fair, I wasn’t myself on the golf course. The last few weeks, it has been purely me. I was enjoying myself. That’s probably the key to my good form,” said Murillo. This will be a big week for Murillo who trails the fifth placed player on the Order of Merit Blake Snyder, who is not in the field this week, by slightly more than US$8,000. “I never expected to come to Pakistan. Coming from a win in Bali, I was telling myself, why not? I’m chasing the boys in the top-five so it will be an interesting week. This golf course looks unbelievable,” he added. 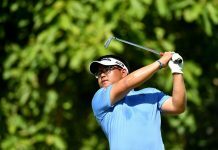 China’s Liu is also excited to make his debut at the Defence Raya Golf Championship but admits that he is running on fumes. “The hotel is nice so I’m looking forward to the week. This is my sixth week in a row and I’m getting slightly tired. I need to maintain my energy level by planning my time properly. You need to sleep more as well but it isn’t easy playing so many weeks in a row. “This is a big purse on the ADT and I’m sort of close to the top-five (on the Order of Merit). I need a really good week here. There’s not many other opportunities to get my ranking up so this week is a good week to have a good result,” said Liu.